There is only one river-contact walkway suitable for all ages: the Ecological or Floating Walk from the Garganta del Diablo station. It is a very smooth and silent slide of 2.5 kilometers, in rowing boats, through the islands of the Upper Iguazú, to Puerto Tres Marias. From there you will walk back to Cataratas del Train station. Ecological circuit in iguazu falls, one of them Iguazú Jungle, only admit those over 12 years old willing to get wet from head to toe. 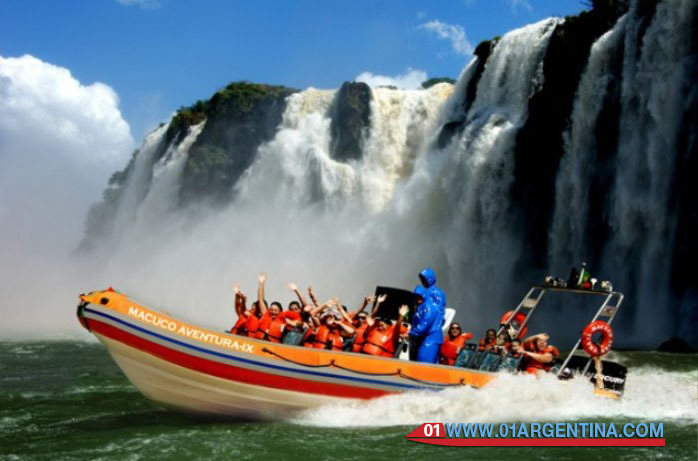 These are: Great adventure, which brings visitors to the base of the Three Musketeers, with the Devil’s Throat crowning the view of the canyon, and then facing the San Martín jump, second in dimension and the largest that a boat can approach. And the Great Adventure Ride “, which breaks into the lower Iguazú River canyon, bordering the island of San Martín to access also the Tres Mosqueteros jump, from where you can see the Brazilian, Argentine and Devil’s Throat jumps. One of the best trips for the family: walk with full moon to Devil’s Gorge, taking the train and enjoying the sounds and textures of the jungle when the sun goes down. The prize is to see the starry waterfalls, bathed in a whitish light that seems to transform the breakers into clouds. The value of the ride is 500 pesos per adult, but children under six do not pay (between 6 and 12 years, 250 pesos). The next full moons fall between 24 and 28 September and between 24 and 28 October. Not everything is Iguazú Falls. The guys get tired of almost everything and it is always good to have a trip to get out of the galley. Here comes the GüiraOga refuge (“house of the birds”, in Guaraní), located on Route 12, a few kilometers from the entrance to Puerto Iguazú. This site is dedicated to the rehabilitation of birds of the forest, especially those that appear injured or with some degree of threat. The GüiraOga is not a zoo but a center that rescues species to heal them, study them and, if they can survive in nature, let them go. Beyond that the boys get bored or not, it is still a good message for them (here animals are not enclosed, they are cured). Another program, also on Route 12, is to discover the Iguazu Biocentro, which has an incredible butterfly and orchid, together with a spectacular collection of snakes from the region (impressive gigantic boas) and around the world. The undisputed star of the place is Coco, a 65-year-old crocodile, graduated from the Nile, two meters long and many faces of few friends. The last two recommendations are on the Brazilian side, more precisely in Foz de Ig uazú. The first is the Dreamland Wax Museum, which never disappoints the short ones. Located on the Cataracts Route, which links Foz with the airport, this complex has 16 stages with reproductions of figures ranging from SpongeBob to Beyoncé, Captain Jack Sparrow, Pope Francisco, Neymar or President Dilma Rousseff. Finally, Das Aves Park (at kilometer 17 of the Cataratas Route) is a well-kept secret. It is neither more nor less than the largest bird park in Latin America, with 1020 feathers of 150 different species. This place is not only very beautiful but also very educational for children to get in touch with the local fauna without getting bored or pucherear in the attempt. Sheraton Iguazú. It is the only hotel within the Iguazú National Park Falls area, strategically located for its proximity to the falls. It has an outdoor pool and the Silk Pool & Spa. The village. Located at kilometer 3 of National Route 12, close to the Biocentro Iguazú, which is practically integrated with the hotel. From 1,600 pesos per night, on a double basis. 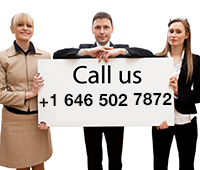 www.elpueblitoiguazu.com. The Cantera Lodge of Jungle. Located at kilometer 5 of Route 12, in a farm of 3 hectares with 400-year-old trees. Iguazú Gran Resort Hotel & Casino. Also on route 12, it is one of the five traditional stars of Iguazú. What to do in National Park Iguazu. Entrance to the National Park: Children under 6 and people with disabilities do not pay. Land tours. Children under 6 years do not pay. Water sports. Great adventure only for people over 12 years. Nautical adventure only for people over 12 years. Floating no age restriction; children under 6 do not pay.